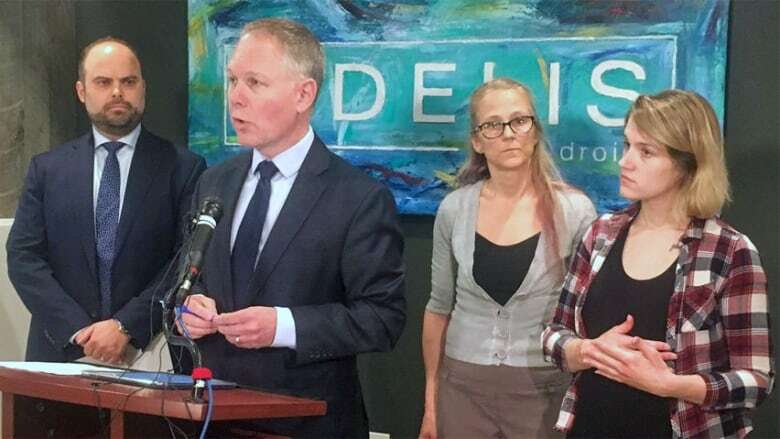 The lawsuit, filed with the Court of Queen's Bench in Moncton on Thursday, alleges that Ruest for years administered Oxytocin to pregnant women without their knowledge or consent, through a punctured saline IV bag in at least one case. Moncton Hospital allegedly knew that it had a "suspiciously" high rate of emergency C-sections and instrument-assisted deliveries by forceps or vacuum, but failed to investigate, according to the statement of claim. "The hospital gave Ruest the opportunity to abuse her role over the vulnerable class members and knew, or should have known, that she was negligently performing her duties as an obstetric nurse," the court document alleges. The Oxytocin caused "adverse reactions, including but not limited to, uncontrolled contractions, dangerous drops in fetal heart rate, unnecessary instrument assisted deliveries, emergency C-sections, premature deliveries and injuries to the expectant mothers and their babies," it states. Ruest is directly liable to the women for her actions and Horizon is directly liable for its negligence and vicariously liable as Ruest's employer and supervisor for 15 years, the lawsuit claims. Relief sought includes an apology and declaration of the legal responsibility of the hospital for the actions of Ruest and the injuries suffered by class members, a notification program for mothers who were treated by Ruest and compensation. Jayde Scott, 26, is the representative plaintiff of the proposed class action, which has not yet been certified. She was 38 weeks and three days pregnant with twins when she had an emergency C-section after allegedly being given Oxytocin without her consent by Ruest, according to the lawsuit filed by the Halifax-based firm McKiggan Hebert and Fidelis of Moncton. 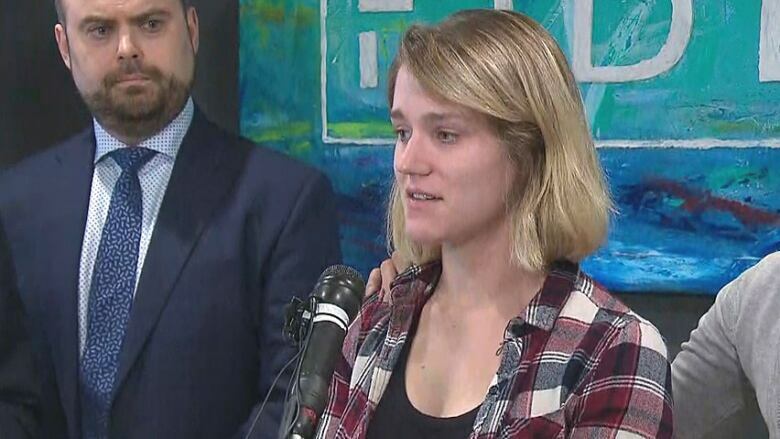 "It was extremely traumatizing," Scott said in tears during a news conference to announce the lawsuit, which covers 2005 to 2019. "I didn't get to meet my girls right away. I was put unconscious, right? So it's supposed to be an exciting moment, and that was robbed." She said her daughters are doing very well, but that her heart goes out to the other women who were affected. She said she urges them to come forward. Lawyer John McKiggan said there could be hundreds of class members. "The class covers any mother and child who was injured as a result of [Ruest's] conduct" during her 15 years or more of practise, he said. So far, the lawyers have heard from "dozens of moms who are concerned they may have been impacted," said McKiggan. Their medical records will be reviewed, he said. Some cases may warrant individual lawsuits, he added. Lawyers are also investigating what other facilities Ruest has worked in and whether there are any potential implications arising from that. Horizon officials declined to comment Thursday on the proposed class action, citing the ongoing criminal investigation by the RCMP. The New Brunswick Nurses Union and the Nurses Association of New Brunswick also declined to comment, pending the outcome of the RCMP investigation. 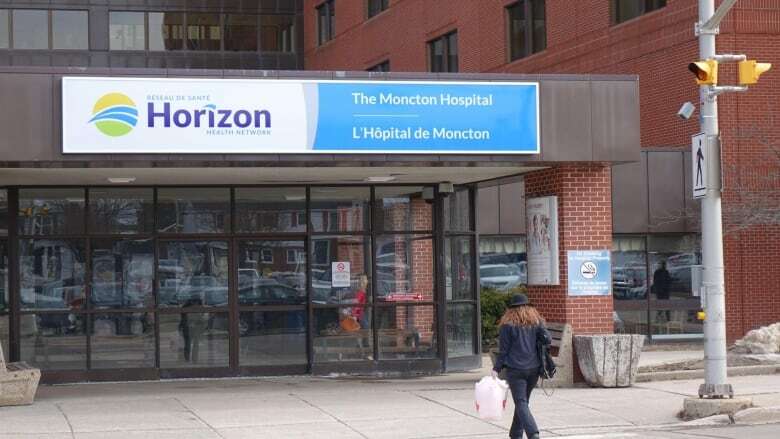 On March 30, Horizon confirmed that a registered nurse at Moncton Hospital was fired after an internal investigation revealed "strong evidence" the nurse administered Oxytocin, which caused two women to require an urgent caesarean section. The name of the nurse was not disclosed. The court documents identify her as Ruest. The nurses association, the professional regulatory body, has said it immediately suspended the licence of the nurse in question because of the seriousness of the allegations and because she was working at a second undisclosed facility. 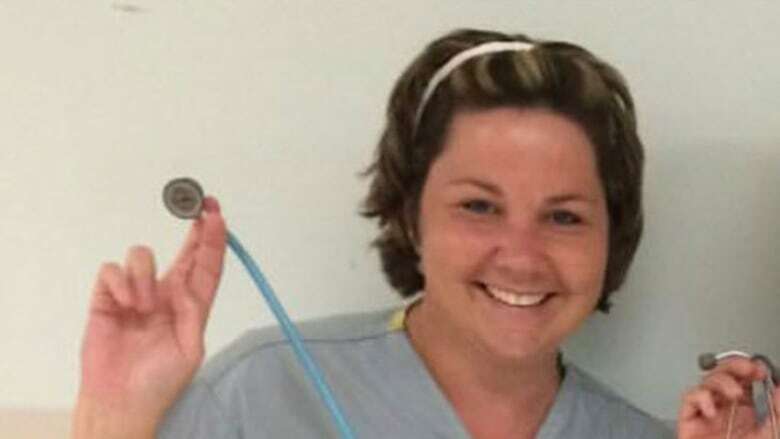 The union is obligated to provide legal assistance to the nurse in connection with being fired but does not represent members in criminal or civil matters, officials have said. Scott, who had a normal pregnancy, went to the Moncton Hospital on March 27 for a scheduled inducement. Her obstetrician artificially ruptured her membranes, and then Ruest allegedly hooked her up to an IV, which was supposed to be saline. Within five minutes, Scott began to experience "very strong contractions that would not stop," the court document states. "Almost immediately, the fetal heart monitor showed a dangerous drop in the fetal heart rates. [Scott] was also experiencing adverse effects." "The IV bag was changed and taken away hastily," according to the statement of claim. There was no time for an epidural, so Scott was given general anesthesia and her daughters, Ava and Avery, were born via emergency C-section. It was "chaotic," said Scott. The hospital called in the RCMP that day. "That fact is significant," McKiggan told reporters without elaborating. The following day, Scott's obstetrician, Dr. Erin Hemsworth, told her the IV saline bag was tested and found to contain Oxytocin, which had been inserted via small punctures in the bag, according to the court document. "She was informed that the defendant nurse Ruest was responsible." Scott, who also has a six-year-old son, said she felt "overwhelmed, scared [and] traumatized" by the revelation. The hospital failed to notify other class members they may have been injured by Ruest and failed to prevent further occurrences, the document states. In addition, it claims the hospital failed to have any policy or guidelines regarding the inventory, tracking or use of Oxytocin. Unnecessary major surgery (caesarean section), complications and consequences. Impaired ability for future vaginal deliveries. Unnecessary instrument-assisted delivery (forceps/vacuum) causing injury. "The plaintiff and class members have sustained and will continue to sustain pain and suffering, loss of enjoyment of life, and loss of amenities," the document states. The lawsuit accuses the hospital of systemic negligence, fraud and breach of fiduciary duty. It is seeking punitive damages, aggravated damages, compensation for loss of income and ability to earn income, special damages, general damages, aggregate damages, pre-judgment interest and costs. Last week, Horizon said it has fielded calls from more than 40 concerned mothers since news broke of alleged misuse of the labour-inducing drug. Horizon is asking patients with concerns to call its patient representative services. McKiggan has argued that this puts an unfair burden on mothers.